Today we have a few new photos from Lane’s End. Alys has been spending time with Zenyatta and 12Z, capturing aspects of their daily routines. She sent us these two videos, each featuring a 360 degree view of Lane’s End! I love you Zenyatta!!! Happy New Year to all of the great people at Lane’s End. Take care of those wonderful horses you have been blessed to be around everyday. Everyone have a very safe and Happy New Year. Happy New Year to everyone, and Zenyatta. Happy New Year to all…! Happy New Year Zenyatta, Z, and everyone. Looks like another exciting year coming up. I love you and baby z so much. I cannot wait until you have your next foal. Hi Zenny, we just had to look at your tongue out pic again…it makes us smile to see you being your gorgeous, silly self. Anxiously awaiting the new foal! and hope the “Eblouissante ” cross works out for Z12. Happy New Year to Zenyatta and Z. Thanks for the pictures and videos. Nothing is quite so peaceful as the sound of horses munching…either in their stalls or tearing at pasture grass…Love it! Lady Z looks fat & happy…and furry! 12Z is adorable, and he’s definitely got Mom’s ears. I wish they would give him a real name…he sounds like a cyborg…. And the barn…if only my barn where I keep my boys was as clean. You can freaking eat off the floor…how impressive! I always enjoy seeing new Photos, and Videos of our Elegant Zenny. How gracious she is, and can hardly wait to see her new Foal. I’am hoping for a Filly this time. Hope all at L E had a wonderful and safe Holiday Season. Best of luck in the coming year. Happy New Year ZENYATTA!! Came here to wish everyone a special New Year. I would love to plant the biggest kiss on your soft nose Z and a little one on your growing 12Z’s nose, and a tiny one on your baby bump. Miss you and I hope to hear something new about you sweetheart. Hoping to hear more soon!! Can’t wait for the new little Z!! Hoping hard for a filly. Thought of what might be a pretty name for 12Z: Zenya. Came to me in a dream. Might just have to name a model horse that. Thanks for posting the pictures and videos. Yes, thank you very much for the pictures and videos. It is wonderful to see how great both mom and son are doing. And I appreciate the Q and A’s too. Living in Lexington, KY, I always have an interest in the thorobred world’s goings on. So thank you so much! Happy New Year! Zenyatta and her boy look great as always! Z12 was a good boy when they were working on his feet…already picking them up at the touch! Happy New Year to Sweet Zenyatta whom I will love forever and to her beautiful son Z who looks like his MOM. Just love geeting these up-dates and thank all concerned. When is Zenny expecting her next Foal? How long will Z stay at Lanes End? Hope to be kept informed about them. Love to all, Irene in Cali. 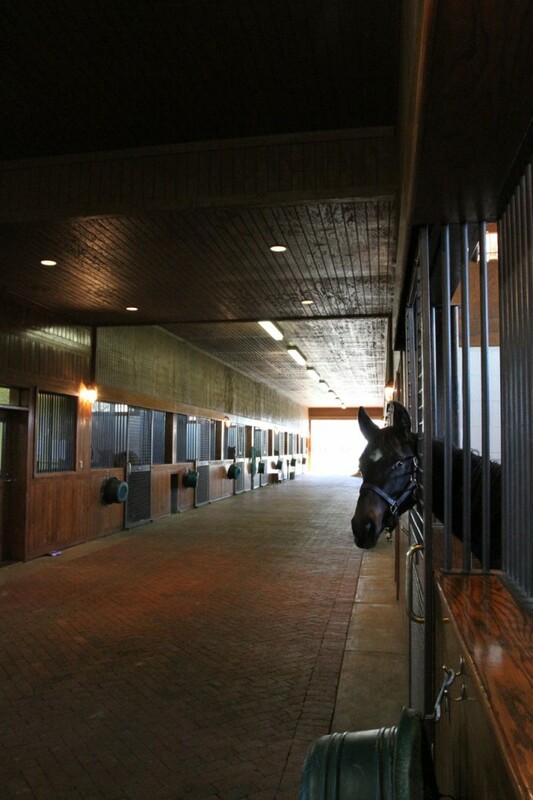 Thank you Lanes End Farm for the pictures and videos of Zenyatta and Z12. 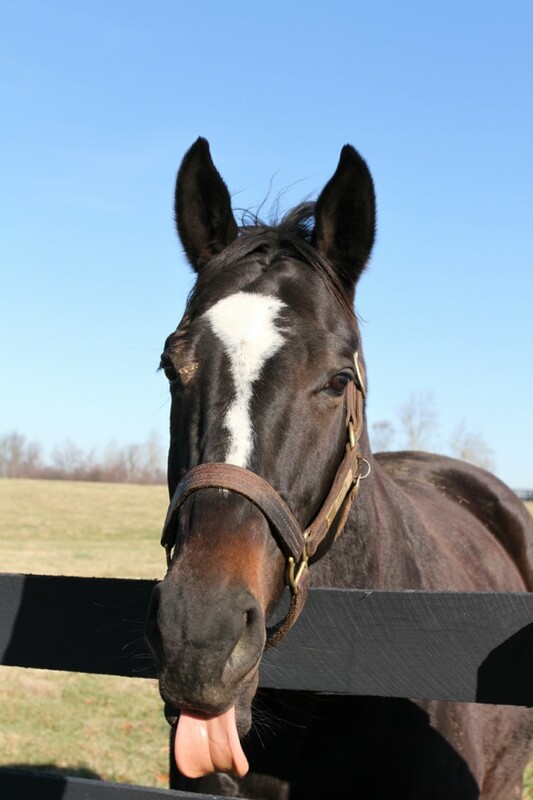 Everyday when I go out to Zenyatta’s web site and watch her videos and look at her pictures, it brightens my day. 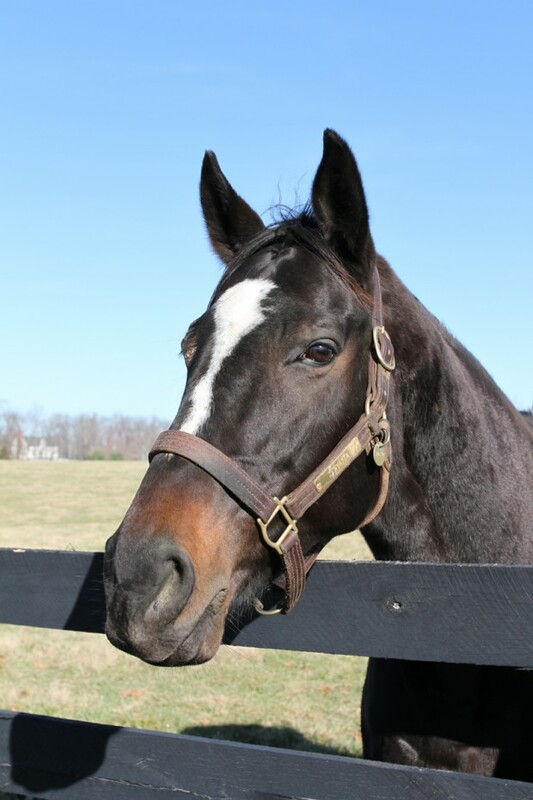 Happy New Year to Zenyatta, Z12, everyone at Lanes End Farm, and Jerry and Ann Moss. Thank you in sharing Zenyatta with her fans. 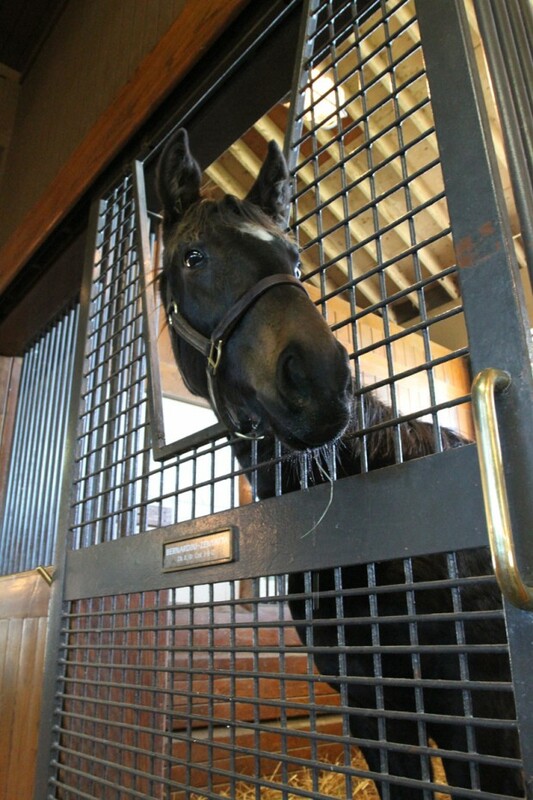 I hope one day to be able to meet Zenyatta in person. Thanks so much again for being so open and sharing these very special animals with us. I can’t say enough how much I’ve enjoyed all of this…. Thank You for the pictures and videos. We really appreciate your taking the time to share them with us. 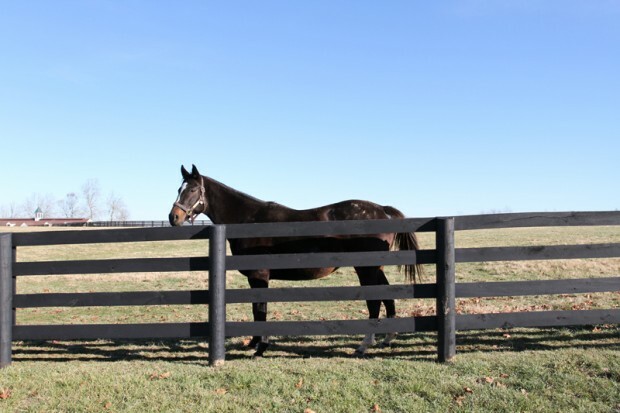 We are happy knowing Zenyatta and 12Z are doing well! We miss you Zenyatta! Hope youare feeling good. What happened to Zennys right eye?? Is it allright – is it healing??? Zenny enjoyed a roll in the mud …she’s proof of the old saying about “mud in your eye”. There’s nothing to worry about. It’s all good. love the videos and keeping us all updated. I was wondering, when they have sudden really bad weather, like tornado alerts, heavy wind, rain, or snow storms, what do they do with all the horses that are out so much; is it all hands on deck, and a mass exodus to get everyone back into the barns? If this is the case, how is this accomplished, and about how long does it take? Whenever I hear about bad weather in Kentucky, i worry about Zenny and her son! Zenyatta’s care takers are so blessed !!!!! I would love just to give her a hug !!!! When is the new baby due?